Vote for Seattle Local Food on Best of Western Washington! Seattle Local Food has been nominated Best Food Blog at the King 5 Best of Western Washington contest! Interconnections: While other sites give you recipes OR nutrition research OR sustainability/food politics information, this site looks at the intersection, because they’re inseparable, and need to be realized as such. I’m not a professional chef. But I love to cook, I study health, I could spend hours at farmers’ markets, and I make delicious food that has led to marriage proposals (I haven’t accepted). You get the recipes and the notes. There are more comprehensive science-focused nutrition sites out there and I applaud them. There are cooking sites with more recipes, more elaborate recipes, and even more drool-worthy photography. I think that’s great. And there are sites with information on sustainability, which is also great. If you’d like to support one of those areas, without the interconnection, there are many great ones to choose from. Anyway, there you have it. Vote as you like, and thanks for reading and supporting! I first learned to make this dish from an ex-boyfriend, who learned it from his grandmother in Provence. But since then, I’ve cooked it for several friends from Sephardic Jewish backgrounds. “Oh, nice fasolia!” they said. It turns out that fasolia, or fasoulia (or I’m sure countless other spellings/pronunciations) is a traditional Sephardic dish as well, with roots in Syrian and Lebanese communities. A little browsing online reveals that the dish is claimed in other countries as well: Italy, Turkey, Greece, and all over the Middle East. There are versions with meat as well. There’s a reason everyone wants to claim it for their own. This dish is incredible. It’s simple and relies on the flavor of very good ingredients. 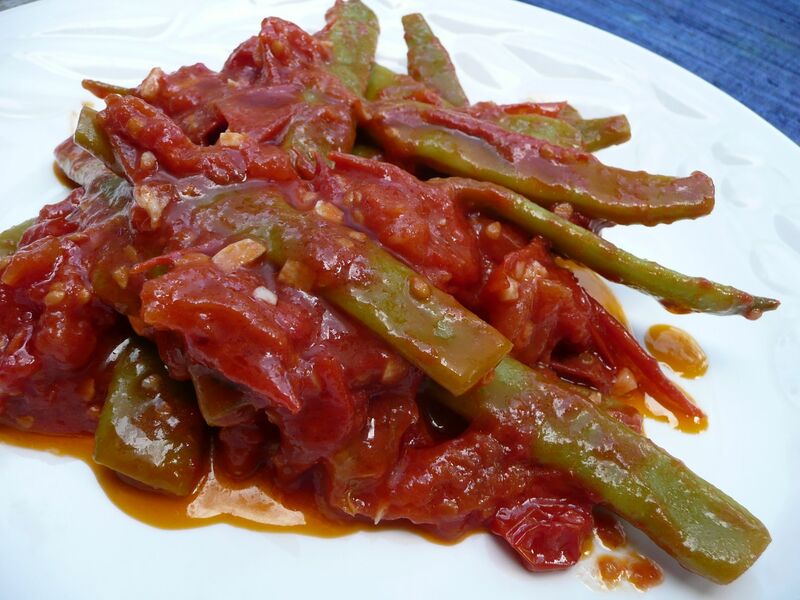 The tomatoes stew to a perfect sweetness, embracing the garlic, swimming in olive oil, and then wrapping around flat, thin string beans (romano are best) until the beans yield and soften and soak in the tomato flavor. I neither confirm nor deny the rumor that if nobody else is home, I might lick out the pan. But usually someone else is home, because this is a dish that’s meant to be shared with people, too delicious to keep for oneself. It’s probably my favorite thing to cook in summer. Actually, you shouldn’t believe me when I say that; I’ll probably say (and believe!) that about whatever delicious thing I’ve cooked most recently, but of savory dishes I like to make in the warm months, this one appears on the table probably more than any other. It’s easy and satisfying, and it relies on ingredients that are best at their peak of ripeness. Although maybe this year I’ll freeze some tomatoes (you can freeze them whole and raw if you’re going to cook with them) and some romano beans and make it one day in winter for a treat. Invite someone over to impress. And if they look at the dish and say, “Oh, nice __________” with a name you’ve never heard of from their culture, just nod sagely as if you knew, as if you wouldn’t claim the dish for any culture but theirs, and offer them seconds. Flat string beans like romano, about one pound. It does work with regular ones, especially if they’re thin like haricots verts, but avoid thick string beans or thicker flat beans like scarlet runners — they take longer to cook and don’t work as well. 1. Chop tomatoes coarsely. Quarters or eights depending on the size. Leave skins on. 2. Put tomatoes into a wide-bottomed pot or deep pan that has a cover. I like to use a stainless steel one for this. Turn on the heat and let them steam a minut or so. 3. Add a few generous dollops of olive oil, stir, and cover. Set heat to medium. 5. Add garlic to tomatoes and olive oil. Stir. Sprinkle in salt until you can smell the tomatoes or it tastes right. Stir, add a bit more olive oil, and cover. 6. Prep the romano beans — cut off the pointy ends, and cut any super-long beans in half. 7. Let the tomatoes cook until they taste sweet and have liquid bubbling all around them. It’s important to wait for the sweet taste, or the dish doesn’t taste as good. 8. Add the beans to the tomatoes, and cover them with liquid and tomato bits. Replace the cover. 9. Cook until the beans are soft, stirring occasionally. Seriously, do this even if you’re a al dente vegetable person usually, as I am. The softened beans absorb the tomato flavor and meld into the dish. As you stir, your tomatoes should be losing some of their water and occasionally sticking to the bottom. Don’t let them burn, but this sticking is actually a good thing — scrape it with your wooden spatula, and it actually adds to the sweetness of the dish, mixing with olive oil beautifully. 10. When the beans are soft, turn off the heat, add more salt if needed (don’t over salt) and add more olive oil generously, at least a few dollops/tablespoons or more. Stir in the olive oil and serve. A New York Times article disparaging local eating generated a fair amount of buzz when it was published last week, mostly writing it off. I’m not surprised, since it contains a number of flaws in logic. I encountered the article when an acquaintance rather triumphantly brought it to a local-foods themed Shabbat dinner potluck. No worries; as a Jew I see real value in debate as a means for sorting out nuance and complexity in order to find the best answers possible. In this case, I’m not sure the debate is useful, because the arguments presented seem both weak and strangely angry. The author refers to local eating as “gospel” and “arbitrary” and “do-gooder dogma,” words meant to be both extreme and divisive. This isn’t useful because it feeds a false premise, the idea that local eating is a trend, a fashion statement, something to believe in only to an extreme, a position which usually leads to rejection. Those with such a viewpoint will seek not so much a sound argument as, what this article felt like, a platform for someone looking for a reason to dislike local eating and not really caring if it is soundly argued or not. Granted, there are people looking for a reason to like local eating and who don’t care if the reasons for doing so are soundly argued. Maybe they’ll keep doing it, maybe they won’t, but I imagine in the meantime they’ll have some good meals. It’s important to be wary of anything being treated as a trend, whether you agree with it or not. That’s simply not, well, sustainable. We have a cultural addiction to the cycle of treating ideas as dogma to adhere to and then dogma to discredit. It’s how we approach everything from our habits to our relationships to our politics. It’s very consumerist and it doesn’t encourage nuanced thought. In reality, people eat local food (partly, primarily, entirely, etc) for a variety of very sensible reasons. And if we sound fervent sometimes,well, so might anyone who has just eaten a proper ripe tomato or raspberry. Really? Sinful? For someone using a headline about math lessons (although in his defense New York Times writers don’t generally create their own headlines), this is an awfully illogical statement, drawing a generalization without any scientific basis (something he also accuses local eaters of doing). “Sinful” and “virtuous” are divise words, sure, but they’re also puzzlingly over-applied. Also, the local-foods fans I know in New York City are happy to wait until summer to buy (or grow, like my friend Karyn in Astoria) their tomatoes, no greenhouse necessary. The author’s other main premise is that the current food system is very efficient and that eating locally-grown produce will do little to nothing to reduce energy use. But he uses a lot of bait-and-switch arguments to defend this premise, starting when it suits him with one idea some people hold about local eating, pursuing it part way, and then switching to a different one when convenient. A letter [first one on the page] published in response suggests the author’s numbers are actually misleading and bogus. The letter’s author points out: A recent Department of Agriculture study reported that 28 percent of food energy use comes from households while much of the rest — 57.6 percent — comes from the processing, packaging, transportation, wholesale and retail, and food service energy use that locavores are seeking to avoid. The original statistics the article’s author discusses (brandishes?) are about calories of energy used in transporting food, energy cost of fertilizer, and so forth. But what he’s avoiding mentioning is that shipping is only one way in which absurdly-transported food (e.g. lettuce from 3,000 miles away when it’s grown 30 miles away and picked fresher) uses more energy. It’s true, one head of lettuce doesn’t use much more energy when it’s from California, but what about thousands of heads of lettuce? And fertilizer, while it may be an energy issue, is not primarily that — non-organic fertilizers can be detrimental to soil and water, and limit long-term sustainability of farm land. Picking one angle (exact amounts of fuel used to transport food) and massaging numbers is misleading. Local eating is and should be nuanced. Certainly, we can’t say for sure that the entire food system as it’s currently structured should be dismantled. But the movement toward supporting small, local farms using sustainable (organic, low energy, crop-varied) means of production is simply a very good idea. This is true whether you buy more produce from the place you live when it’s in season, or eat entirely locally-produced food, or anything in between. ~ Produce shipped across the country is often (but not always) grown on very large-scale farms, sometimes owned by larger corporations. It’s like anything in our economy; while some families own and responsibly operate large farms that sell to distributors, there are many more instances of mom-and-pop operations bought up by larger companies. Growers lose economic and decision-making control over their farms, or lose their farms entirely. ~ Centralization isn’t a great idea when it comes to what we eat. This becomes apparent every time an outbreak of food-borne illness spreads rampantly throughout the country, from one distributor or large-scale grower. It’s also not a good idea to yield control of our food supply to a small number of companies. ~ Produce shipped across the country was probably not picked this morning, like the food I buy at my farmers’ market. ~ The produce at the farmers’ market usually tastes better, is riper. ~ Small-scale farmers are generally very good at what they do, and passionate about growing the best food they can, interesting varieties, and food that tastes good. ~ Local food at a farmers’ market is not subject to certain industrial regulations that don’t make sense, like requiring apples to be perfectly round. Such standards result in a great deal of food waste in this country (although some large producers encourage gleaning at their farms, or use other methods to attempt not to waste this food). Small producers can choose breeds for delicious flavor rather than shelf-life, transportability, color and so forth. ~ Some locally-produced, small-scale food is more nutritious. Produce grown in rich, healthy soil. Meat, dairy and eggs from animals on pasture on a small farm, not cooped up in cages or feedlots. It would be funny if it weren’t maddening to hear this argument disparaged by those who assume the argument is that any food produced locally is more nutritious. ~ We can save cross-country shipping of produce for areas where it’s really necessary or beneficial. I’m actually all for shipping citrus fruits in winter; they give us vitamin C and they’re a lovely break from winter foods. They’re also not going to supplant local fruit, although honestly I’m pretty content eating dried and frozen summer fruit through most of the winter. Peach pie in February does use freezer energy, but it also makes me really happy. ~ I like to think long-term. If we want farmland to be preserved, and varieties of produce to be preserved, we should support the people running those farms and growing that produce now. This may be especially urgent as climate changes; we may need to rely on crops that do well in a particular area or are tolerant of heat/cold/drought/etc. While I’m sure Monsanto would be happy to develop and patent some for us, I’d rather we not lose any more varieties that already exist. Deceptively, the author suggests the amount of farmland in America is virtually unchanged. But the number of farms has been reduced drastically, and much existing farmland is now used to grow grains for unhealthy products like high fructose corn syrup, corn oil, white flour, etc. I guess I’m not sure why the author wrote an article that seems bitter to the point of something personal going on. But if it gives local food appreciators a chance to reiterate that our reasons for eating what we do are based on science, math, economics, community benefit, and taste buds, we’ll take it. There are some recipes that should remain unaltered. These are generally the recipes that are a combination of memory-entwined, delicious, and very simple, so that a single change would transform the nature of the dish significantly. This view is a departure from what I wrote in my last post, about finding the freedom to experiment with som tam beyond the original formula I’d learned in a Chiang Mai market. But som tam’s essence is from the unalterable parts, the lime and garlic and fish sauce and touch of sugar, and the fruits and vegetables are a vehicle for those flavors, a canvas with their own subtle characters. The dish for today’s post has only five ingredients, and together they taste just so. This recipe is from my friend Tom, who came to visit Seattle for a few weeks. Similarly passionate about food, we cooked a number of outstanding meals together, collaborating and teaching each other a few of our favorite things to cook. 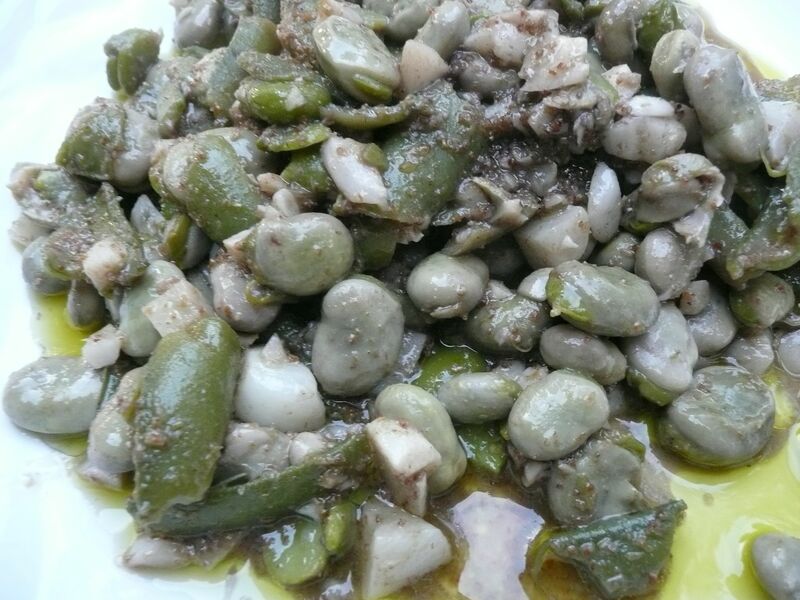 He was in love with these fava beans, insistent about each step of the cooking process being just so to produce a simple, harmonized, memory-enriched taste. It worked. And they were marvelous. The dish comes originally from the Sephardic Jewish community of Aleppo, Syria. The recipe is very simple. The ingredients: favas, olive oil, garlic, coriander and salt. And a bit of water for the cooking. There is no such thing as too much garlic in this recipe (Tom said he couldn’t conceive of such a thing, and I suggested a pile large enough to crush you might be pushing it, unless carefully maintained). The coriander, a dried spice, is best if fresh-ground and good quality, like the stuff available at World Spice. It has taken me until this year to become comfortable with fava beans. For all their charm, they come with a bit of baggage. First, their most notable entrance into American pop culture remains when Anthony Hopkins’s cannibalistic character in The Silence of the Lambs mentions eating a human being with fava beans and a nice chianti. Then, there’s that rumor about the peel. Don’t they come with some very difficult peel? Doesn’t it take power tools to remove it? Are they even worth it? No on the power tools and difficulty, but about whether it’s worth doing: Yes, yes, yes, and oh ever definitely yes. They’re buttery, subtle-yet-complex in flavor, just the right kind of soft and chewy, tender. 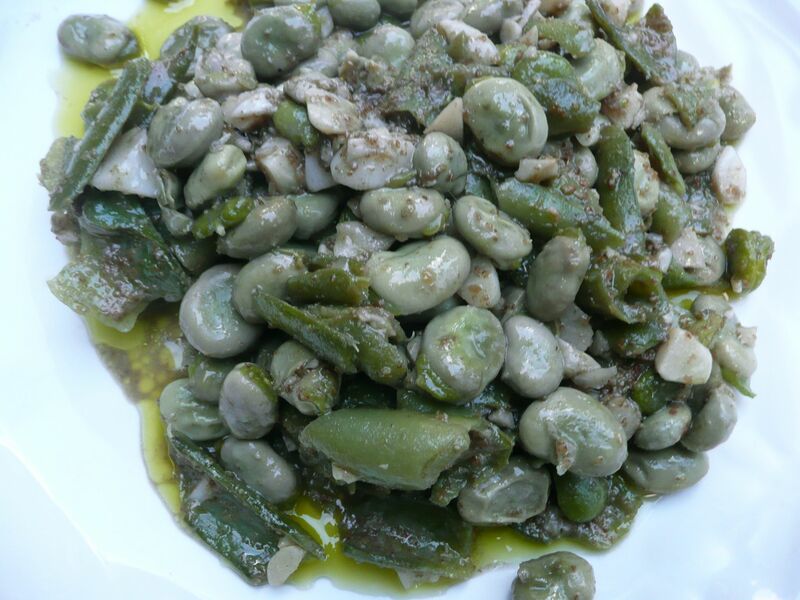 They’re very agreeable; this dish of favas works just as well next to some lamb or mutton as it does paired with a light summer salad and soup. They’re favas you’ll fall a little in love with, and want to make repeatedly. First, a note about peeling. Tom points out that the peeling must happen –– for reasons not just social but about the taste and integrity of the beans! –– while sitting around having Grandma gossip or neighbor gossip or some kind of slightly-scandalous discussion, chit-chat, banter, or revelation of family secrets. Preferably on a porch. Rocking chairs wouldn’t hurt either, if you want to be on the safe side. Interested? Good. 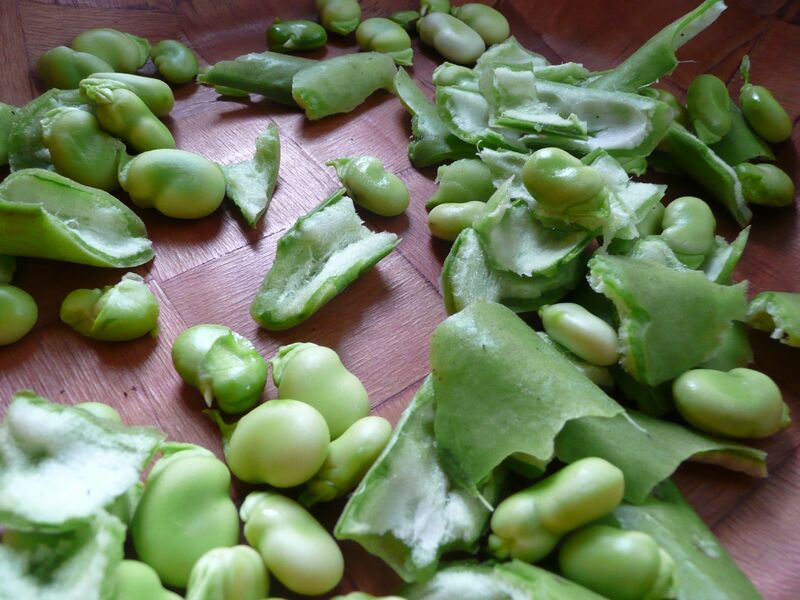 Now, let’s make you wait a bit more to hear about the peeling and talk about the selection of favas. 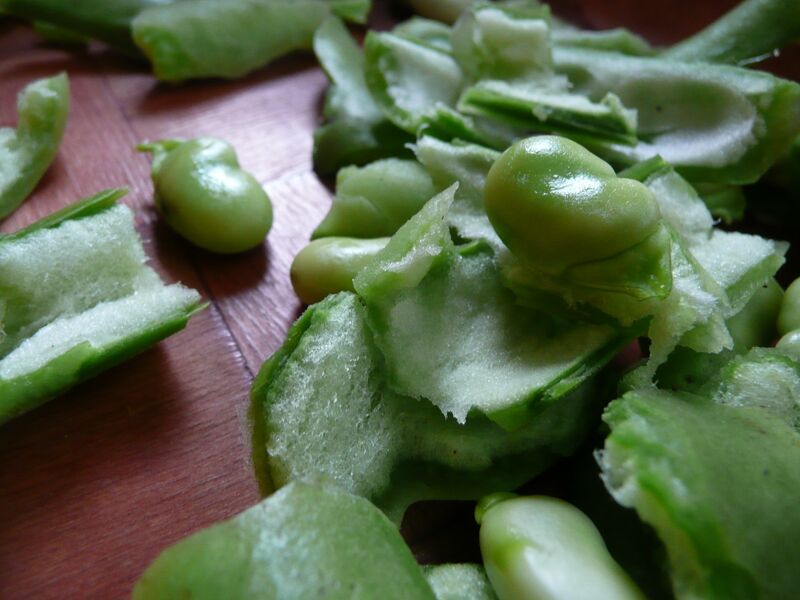 The most exciting time to cook favas is early in the summer, or when the crop is fairly young. I’ve been lucky enough to find some young-ish favas even through August here (Nash’s Organic has had really nice ones). You can use any favas for this dish, but in a moment we’ll learn why young ones are the best. These pods are thinner, brighter green, firmer, and have fewer brown markings. There is less of a string to pull, or no string if it’s very young. Very soft, white, almost furry. Tender and… delicious. Yes, that’s right, you can eat bits of the pod when it’s this young, and you should rip off the nicest pieces and throw them in the bowl. As the season goes on, you are less likely to be able to do this. Now, what about that extra layer to the bean? Here’s a secret: the youngest ones don’t need the extra layer removed. Sacrilege! But true. For my taste, anyway. Older, grown-up beans have a thin, pale-green or white-ish waxy layer that can be removed very carefully with the thumb nail to reveal a brightly colored bean inside. 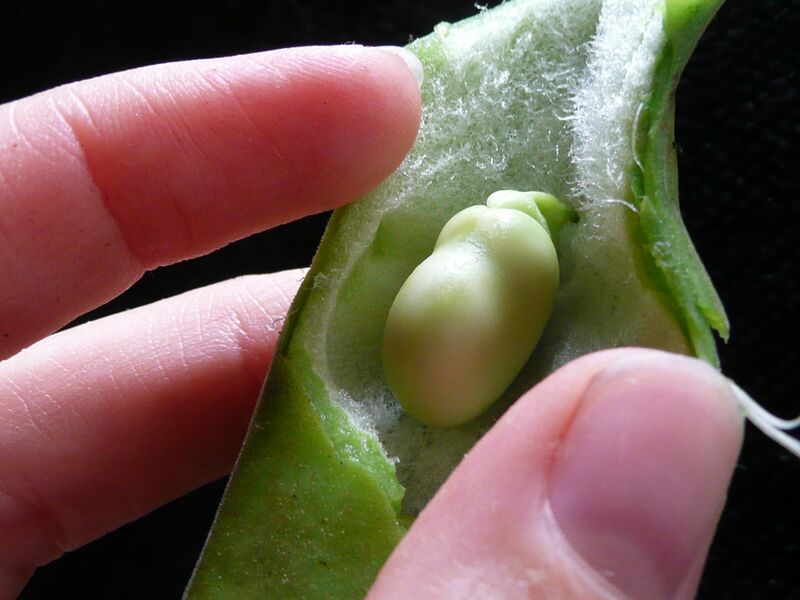 But there are some beans so young that when removed from the pod, they barely have this layer at all, and are pretty bright green on the outside already. Leave them. Okay. We’ve talked about grandma gossip, we’ve talked about selecting favas, we’ve talked about peeling… You’re ready to cook. Fava beans — about 1.5 pounds for a side dish, but you can make this dish on an enormous scale and it works well. Garlic — there is no limit. I used two heads for my 1.5 pounds of favas, but then again I was running out of time. Tom’s grandmother uses seven cloves. Coriander, dry, fresh-ground — To taste. 1. Peel favas. See notes above about pod age, whether the bean needs the waxy layer removed, and the necessity of grandma gossip. Save bits of any very soft, tender, green pods, and tear them into your bowl. 2. Chop garlic. Roughly, finely, however. Just have plenty of garlic. 3. In a large pan (like a cast iron skillet) heat olive oil. Add favas, peel bits and garlic. Stir for a minute to begin cooking. 5. Add a bit of water. 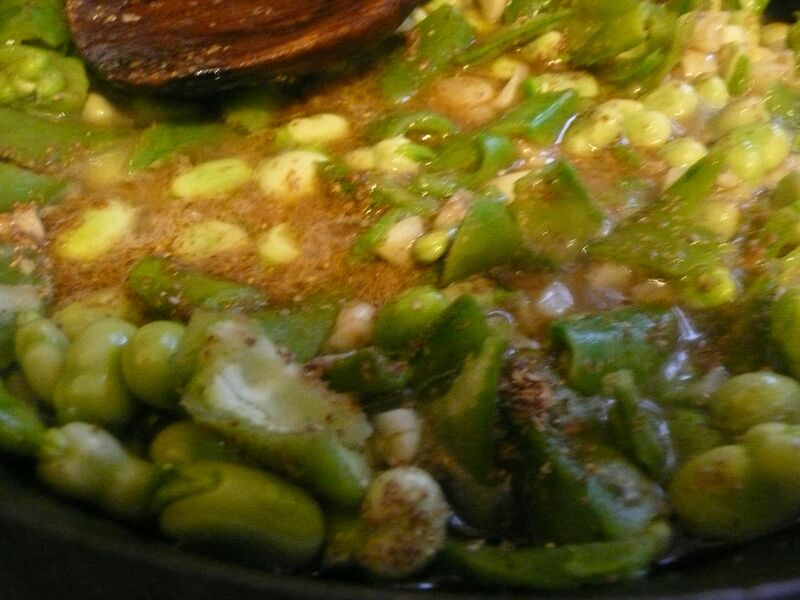 Note that you are also not boiling the favas. You want just enough water to pool around the beans and let the top halves poke up through the liquid. I started with a cup of water, and also added a little extra olive oil for flavor. 6. Let it cook, stirring and resisting any temptation to add salt yet. If the water runs out, add more. 7. When the favas are cooked, they are soft, wrinkly, a little grey-ish, and not at all mealy. The water is nearly all cooked off. At this point, add salt to taste. Serve on their own, with summer foods, or with grilled/broiled meats like mutton or lamb… which is, uh, now that I think of it, silent. Hold the chianti. My love for Thai food stems mostly from a college semester I spent living in Chiang Mai, a small, beautiful city in the north of Thailand with spectacular food. It took a while for me to love the food rather than just like it. Tiny, incredibly hot chilis looked deceptively like mild string beans as they floated in bowls of soup, until I picked them up and munched on them. My host sister, Kei, liked introducing me to foods like congealed blood in curry (“It’s like jelly!” she said, helpfully.) Fish sauce was weird. But the complex flavors drew me in, and the spiciness became an asset, and then a necessity. Spicy Northern Thai foods gradually burned off my taste buds, and rewarded me with extra flavor, until I just thought it was normal for my eyes and nose to run at every meal, and I couldn’t taste food that wasn’t spicy. My friend Phueng promised me, as she sprinkled extra fish sauce with hot chilis onto our fried rice, “You’ll miss fish sauce a lot when you go back to America. It’s where all the delicious flavor comes from.” She was right; fish sauce is the main source of umami in Thai foods. There were so many favorite dishes, using fish sauce to enhance sweet, sour, spicy, subtle and powerful flavors. The curried, fishy khanom jean, served over soft, fermented rice noodles. Kao soi, an addictive, spicy red curry noodle soup with pickled vegetables and chicken. Gai yang, the tangy barbecued chicken sold at the market near where I lived. Gai yang is meant to be eaten with sticky rice and pinches of som tam, a tangy salad of shredded green papaya pounded in a large mortar and pestle with lime juice, fish sauce, tomatoes, garlic, green beans, chilis and sugar (hold the peanuts, eggplant and shrimp, please). I bought som tam daily from a woman who set up a little folding table at the edge of the market, and pounded som tam in her mortar and pestle, assembled to order. I ate it picnic-style on the floor with friends P’Nu Dang and P’O, barely noticing the spice as my eyes ran with happy tears. Like most converts, though, I made the mistake of thinking that formulas, or recipes, were unalterable doctrine. Som tam was made the way the woman in the market made it, and so I could never make som tam in America; where was I going to find green papaya? Or a large-enough mortar and pestle? Besides, I like to eat local produce as much as possible; nobody in Washington State grows green papayas. I was inspired. I went home and pulled CSA carrots and yellow summer squash out of my refrigerator. An apple that had to be used up. Some romano beans. Some tomatoes. A lemon cucumber. And set to work. Som tam has two kinds of vegetables or fruits: the ones you shred for the base, and the ones you chop and pound when you add them in. The shredding is best done with a food processor top-blade or mandoline, something that’s going to keep the shredded strips fairly intact and stiff, so they can retain some shape when they’re pounded. Just a word to the wise if you’re using a food processor: Pay attention to how much you’re shredding. I blithely threw in four enormous carrots, an apple, and two squashes and it made a lot more som tam than I was expecting. 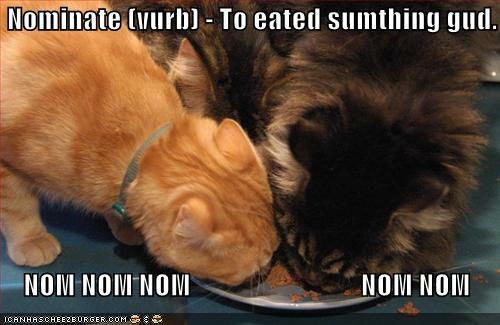 But it was so good, there was very little left in the bowl. 1-2 T sugar or honey (to taste). Palm sugar, which isn’t very sweet, is traditional. A wide bottom bowl and a heavy glass or mug, OR a very large mortar and pestle. 1. Shred all your shredding vegetables/fruits. Set aside. 3. In the bottom of a wide bowl or a very large mortar, use a pestle or heavy mug/glass to pound your sauce of fish sauce, garlic, sugar, lime, chilis. 4. Chop tomatoes, green beans, and any additional vegetables. 5. 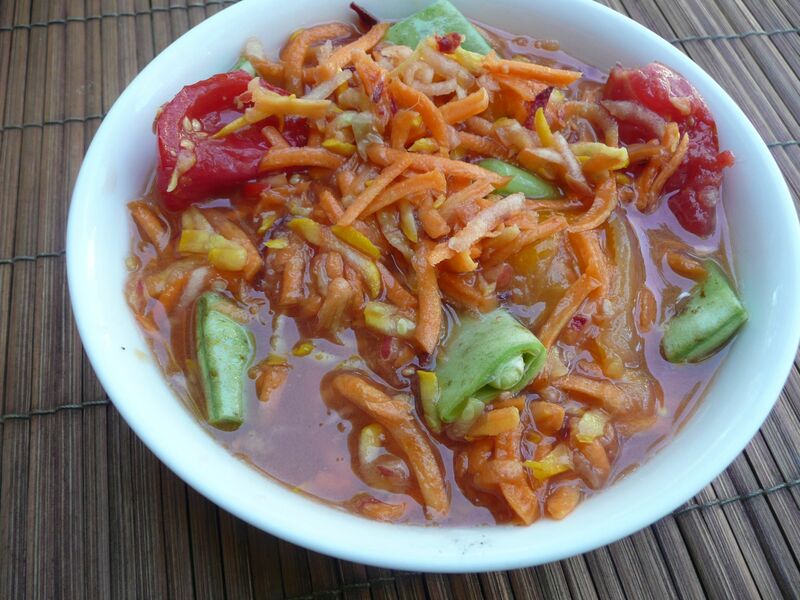 Mix your shredded vegetable and additional vegetables into the sauce. 6. Pound the entire salad. You’re bruising and breaking down some of the structure of both the shredded and the chopped vegetables, which allows the flavors of the sauce to permeate. This is fun and cathartic, and makes the salad taste better. 7. Taste and adjust the flavorings as desired. You want the lime to make it very tangy, the spice to wake you up, the garlic to make your mouth water. Serve plain, with jasmine rice, or with barbecued chicken (gai yang) and Thai sticky rice. A wedge of sweet cabbage also compliments the spiciness nicely.